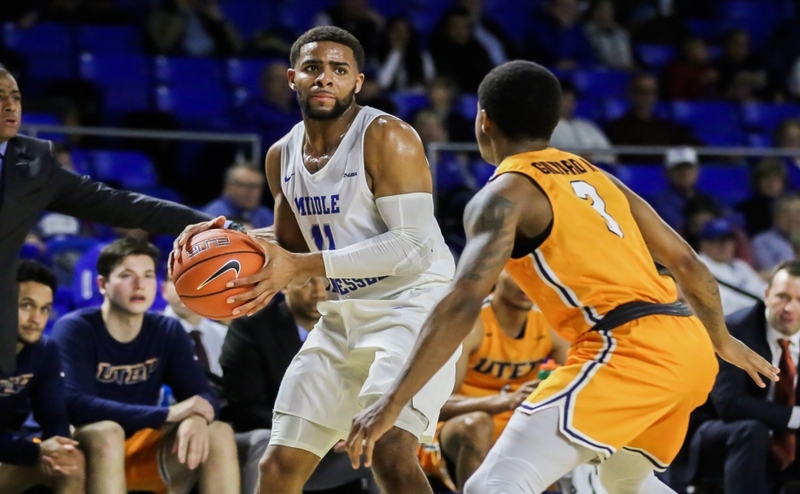 The Middle Tennessee State Blue Raiders (8-16, 5-6) were unable to secure their fourth victory in a row against the current top-seeded Old Dominion Monarchs (19-6, 9-3) in a nail-biting 55-50 defeat on Saturday in Murphy Center. 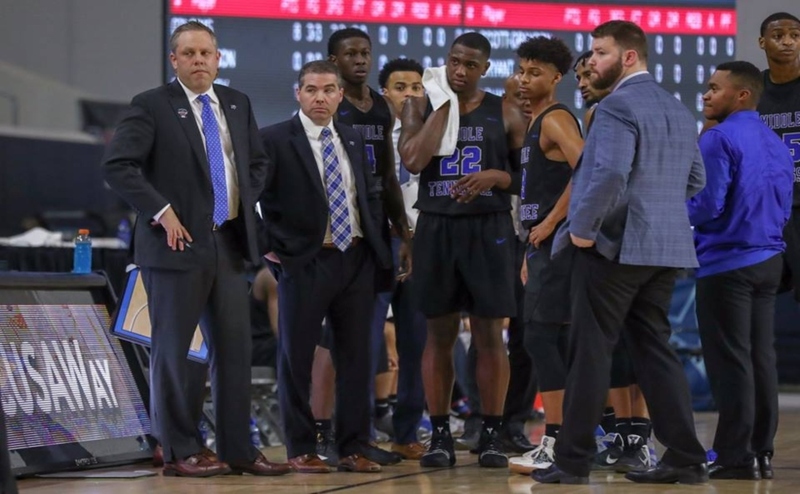 “I’d like to congratulate Old Dominion and coach Jones on a really good win for his team, because I thought our team played really hard and well,” said Blue Raiders head coach Nick McDevitt. Karl Gamble and Antonio Green got busy early, each connecting on their first shots. However, halfway through the first period, the Monarchs held a 16-9 lead, and the Blue Raiders struggled to find open shots. MTSU’s offense sputtered for a majority of the half and couldn’t get any shots to fall. 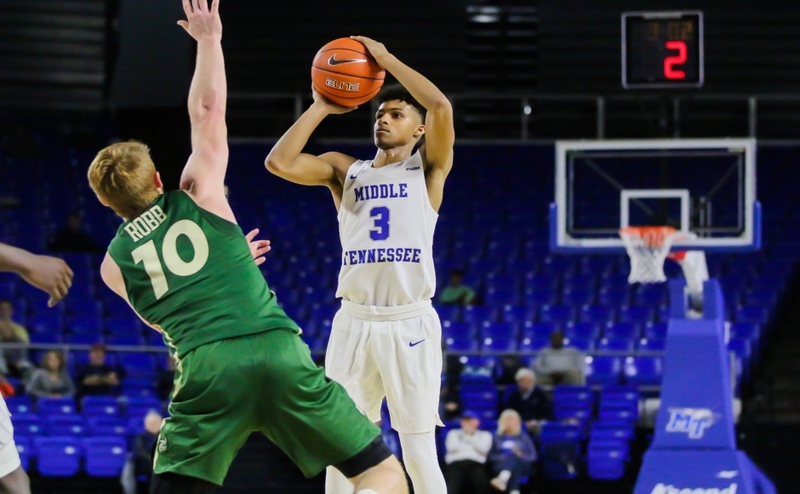 The Blue Raiders struggled to drive the lane and connect of open jumpers. 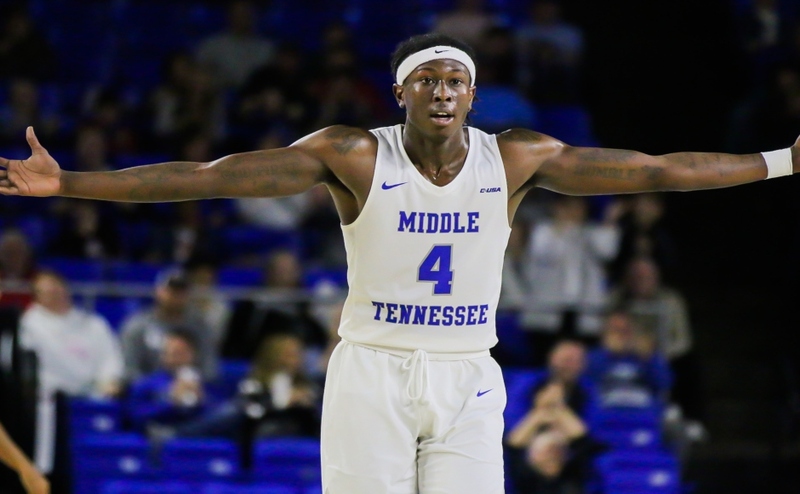 MTSU’s dry spell was finally ended by Donovan Sims, as he knocked down a shot from the corner to cut the Monarchs lead to 21-16. The Blue Raiders were able to finally gain some momentum and trim the lead to one with 2:41 to go in the first after a floater from Green and a dunk from freshman forward TJ Massenburg. Green stayed hot and connected on a three-ball to give the Raiders a 23-21 lead. 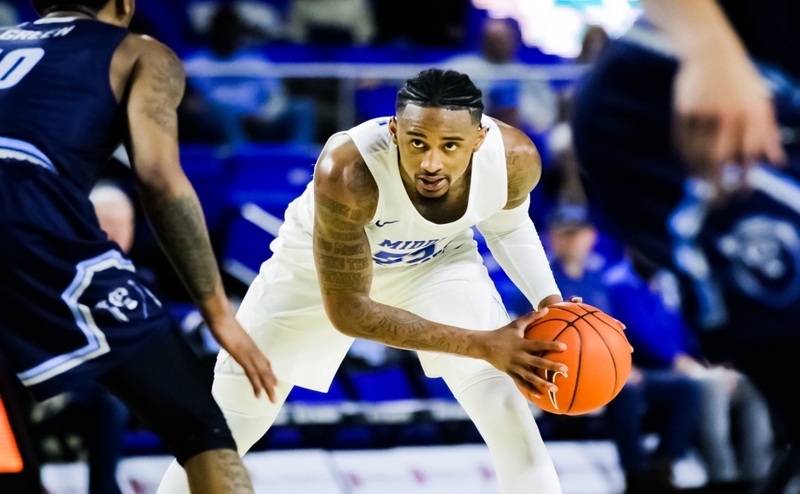 The Monarchs were unable to put points on the board in the final seven minutes of the first period, and the Blue Raiders entered the locker room on a 10-0 run that began with Sim’s three-ball. MTSU protected the ball well with only two turnovers in the first half after entering the game averaging 17 per game. ODU very quickly jumped out to a six-point lead in the second half thanks to a pair of free throws, and two three-balls from guard Ahmad Caver, as well as a layup from forward Aaron Carver. The Blue Raiders stumbled out of the gates to begin the second and were unable to pick up where they left off to end the first half. However, Sims began to attack on the offensive end and get into a rhythm that pulled the Blue Raiders within one. Sim’s layups were soon to be followed by a three-ball from Green to put the Raiders up 41-39 with 8:16 left in the game. Green later hit another big three with 5:19 left in the game with the play clock winding down to put the Raiders up 46-44 after ODU had tied the game. The Monarchs continued to answer the Raiders by tying the contest with a pair of free throws from B.J. Stith and a layup from Jason Wade that evened the score at 48-48. The Blue Raiders were unable to trade buckets due to costly turnovers on errant passes and miscommunication. It was detrimental to MTSU but favorable for ODU and ended the game on a 7-2 run, making the final score 55-50 in their favor. “There are no moral victories in college basketball. However, I was awfully proud of them for their effort and their toughness,” McDevitt said. The Raiders will be on the road Thursday to face conference rival Western Kentucky (15-10, 8-4). Tip-off is set for set for 7 p.m.
“Western’s a really good and talented. The atmosphere at their place will be loud. It’s awfully difficult to go in there and get a win. They’ve got a ton of talented players both inside and out,” McDevitt said.